If there is a forest, there is a house. Lithuanians have followed this rule since the old times. Wood was the major construction material in the land overgrown with forests – people used it to build housing, defensive barriers and houses of worship since the beginning of the state. The secrets of the craft of woodworker and cabinetmaker were transferred from generation to generation, whereas the masters of many families built houses themselves. Time, wars, fires and modern life destroyed many masterpieces of wooden architecture of Lithuania. 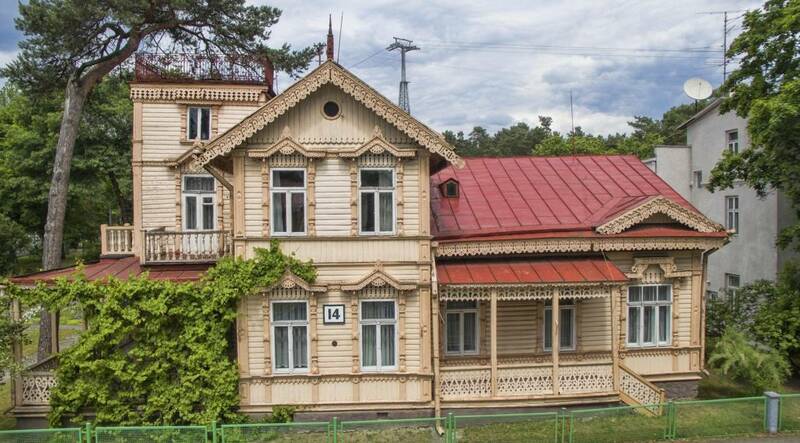 Despised and called a cheap, progress hindering material during the Soviet period, today wood regains its position in architecture, creates a cosy, healthy and sustainable environment, and the most beautiful and valuable examples of the old wooden architecture and even entire villages are carefully protected. 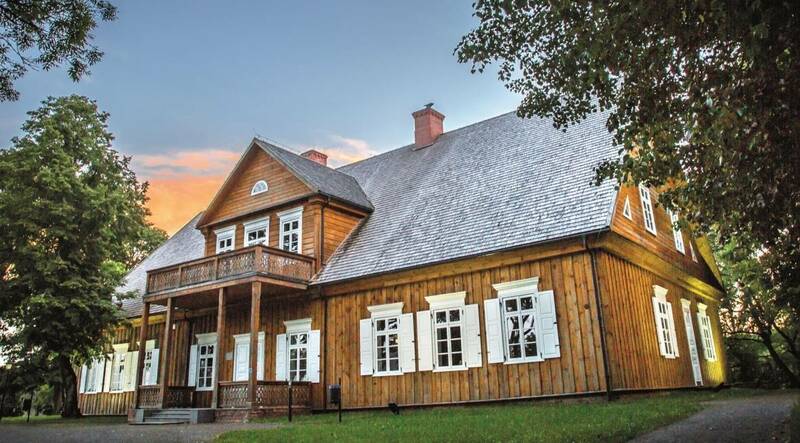 They can be seen in open-air museums: the Lithuanian Folk Museum in Kaišiadorys District, in Radviliškis District, Kleboniškės Rural Household Exposition, and the Museum of Rural Life of Samogitia in Telšiai. Žvėrynas is as if another nostalgic town in Vilnius. Houses decorated with wood carving laces are hidden in the gardens, adorned by lilac bushes. The famous Radziwiłł (Radvila) family kept aurochs, moose and roes in the Žvėrynas pinewood until the 19th century: the name of Žvėrynas (menagerie) could have originated from this park of animals. Subsequently, Vilnius general governors used to have a rest in a wooden country-house, and wealthy city dwellers began to build their houses in this area. Žvėrynas, situated near the river, gradually became a resort suburban district with several combined wooden architecture styles – Russian, Swiss, art nouveau, as well as Zakopane manor style popular in Poland. Today as many as 108 old houses of the district are included in the list of architectural heritage objects. It is a wonderful experience to take a stroll around these houses when lilacs are blossoming. A resort can hardly be imagined without a kurhaus. Without a place in which one could have a cup of tea, listen to music or invite a person you are fond of to dance. Since the middle of the 19th century, news about the concerts held in the Kurhaus of Birštonas spread throughout Lithuania and the buffet was also discussed among people. Restored during the interwar period, burnt down during World War II, reconstructed during the Soviet period, and included in the list of architectural heritage objects of Lithuania, today the Kurhaus of Birštonas is lively and always full of people. 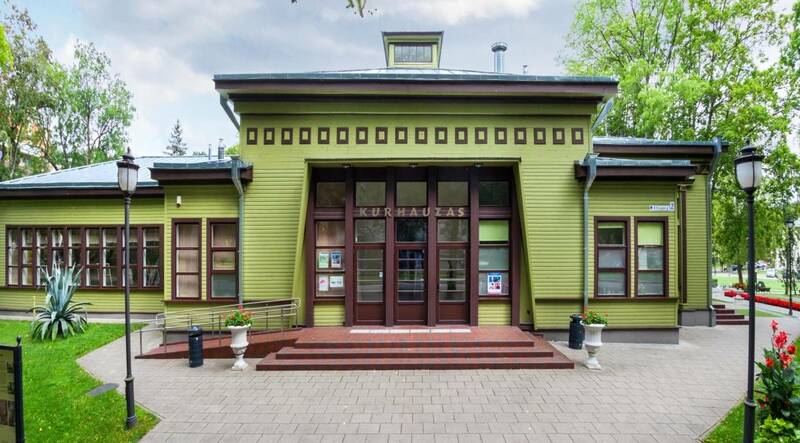 Healing waters, known even in distant places, have attracted holidaymakers looking for the state of wellbeing to Druskininkai already since the beginning of the 19th century. They stayed in Russian style wooden villas that caught the eye with their carved columns, decorated windows and wooden lace. The resort fell under the Polish influence and was affected by the Swiss style influence in the first half of the 20th century, whereas later wooden house builders took over the style of Zakopane architecture. 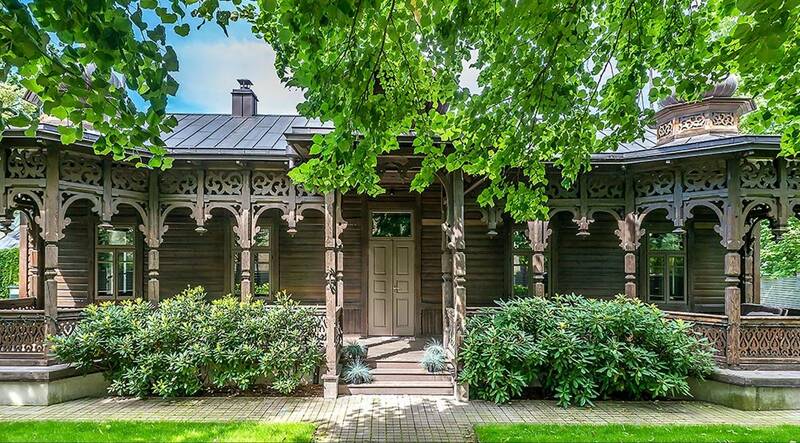 Today these restored, decorated, colourful wooden villas create poetic cosiness in the resort of Druskininkai. No, you are not in Switzerland. 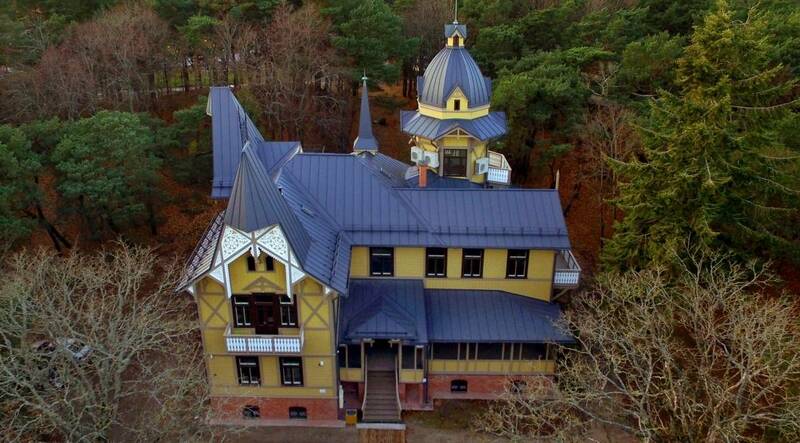 You are in Palanga, near the Baltic Sea, and you can hear its sounds at the wooden villa with ornate towers. Once it belonged to the famous Count Tyszkiewicz family, and you can only imagine spruced up ladies strolling around the open galleries of the villa with dignity, watching the sunset in the sea from the top floors, or the then president of the country, or a respectable writer, or an artist, or an architect sitting down to have a game of chess. The old residents of Palanga recall stories of the owner of the villa organising spirit-rapping. Some souls are said to have stayed in the villa, which has preserved its architectural forms, and strolling around the museum of the resort housed in this building at night. At the miraculous springs, where the royal manor stood in the 15th century, an original Baroque house of landlords was built after four centuries. 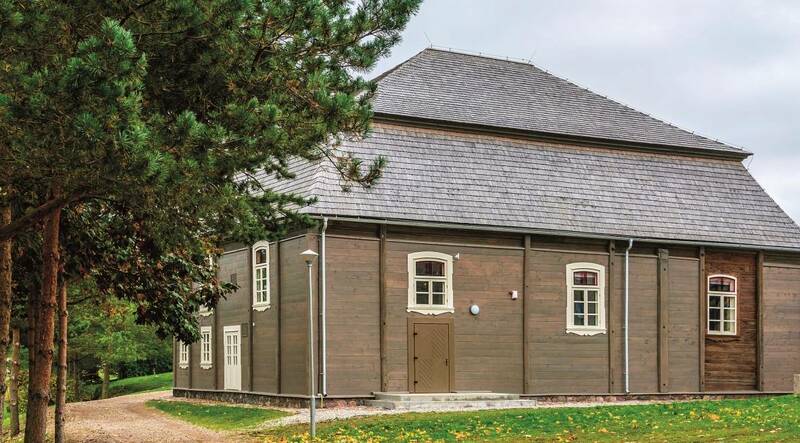 Remained to date, it is one of two similar buildings in Lithuania, whereas the servants’ quarters, the carriage house and the stable are the only witnesses of the 18th century which have persisted wars, fires and the devastating post-war period which did not appreciate culture. 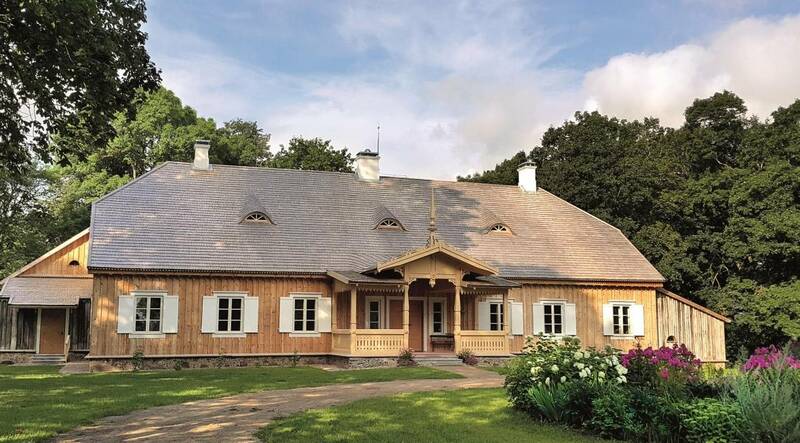 The restored manor homestead, situated in the picturesque valley of the River Virvytė, is decorated by antique furniture, authentic fireplaces and the promise of a miraculous spring to freeze youth forever. It is the place of enlightened persons. Poets, writers and translators used to live in the manor built in early 19th century. At some period of time, it belonged to an educated librarian and the school director. The reading room was equipped in the manor; it was used by the owners of manors living nearby, and other enlightened persons used to visit it from all over Lithuania. The current owner of the manor who revived this wooden architecture heritage object has preserved a lot of authentic fragments: floors from clay and straw, the porch, the blinds. If you would like to listen to the sound of the late Baroque organs built in the 18th century, you should visit Kartena Church. It is the only Neo-Baroque sacral building in the vicinity, which has the front square tower reminding of a miniature belfry on the roof of the church, the pulpit sculptured by the hands of remarkable masters and the centuries old organ. 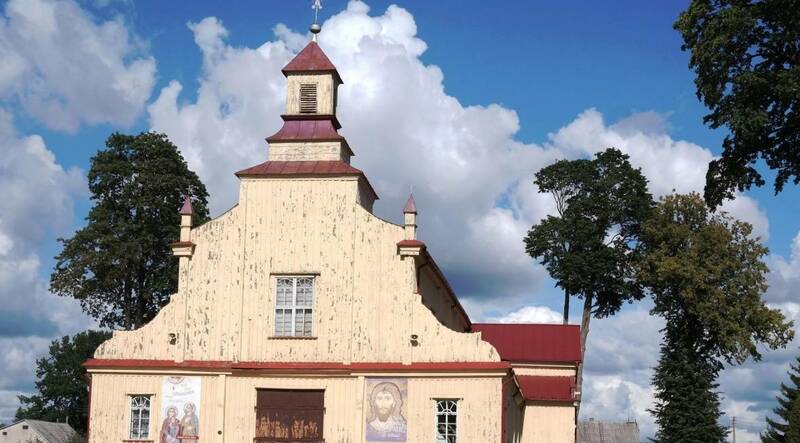 When we had Lithuanian currency in circulation, the image of this church was used on one banknote. There is nothing to be surprised at, because it is one of the oldest and most valuable ensembles of wooden architecture. 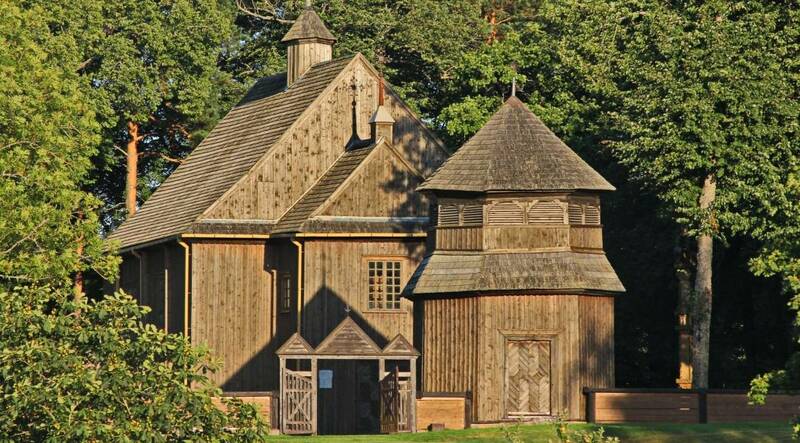 The church, built in the exceptionally beautiful place, on a hill at the Lake Lūšiai, discloses to its visitors the secrets of wooden Baroque, whereas log walls carry you to the past when wooden buildings were built using an axe, without any iron nails. The wooden Pakruojis Jewish Synagogue built on the bank of the Stream Kruoja in early 19th century is a spectacular combination of architecture and culture styles. Classicism was spreading in Lithuania at the time when it was built, yet the builders of the synagogue did not fully submit to the new trend, they retained the elements of the leaving Baroque, added details of Lithuanian ethnic architecture and decorated the building in the Jewish art style. Today it is the oldest wooden synagogue in Lithuania. 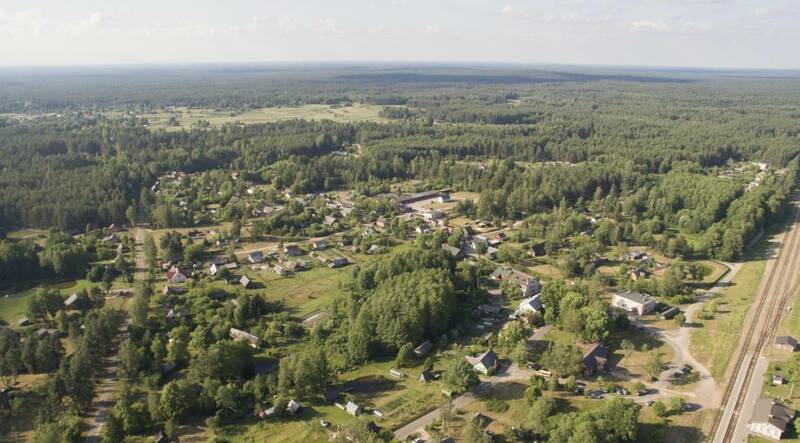 Those who know where it is will easily get to it, whereas others will have difficulties in finding this largest and the most authentic Lithuanian village hidden in the woods. Likewise, it was not easy to find the settlement of scouts which was established in the woods around Merkinė back in the 17th century. The construction of the large settlement of Marcinkonys started in the second half of the 19th century, when the railway Saint Petersburg–Warsaw was laid nearby. There were enough woods around, houses were built close to each other, and the residents of Marcinkonys were known not only for mushrooms and berries, but also for wooden crosses. After World War II was over, partisans were hiding in the surroundings of Marcinkonys. Today this ethnographic village is coming to life anew – a community of young and creative people who cherish their ancestors’ legacy has been establishing in the village.